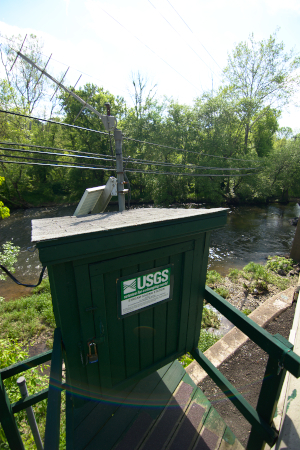 LOCATION.--Lat 40`15'37", long 75`02'07", Bucks County, Hydrologic Unit 02040201, on left bank at bridge on Rushland Road at Rushland, 2000 ft upstream from confluence with Little Neshaminy Creek. PERIOD OF RECORD.--December 1986 to September 1992, October 2001 to current year. GAGE.--Water-stage recorder and crest-stage gage. Elevation of gage is 160 ft above National Geodetic Vertical Datum of 1929, from topographic map. Satellite and landline telemetry at station. REMARKS.--Daily discharge not available prior to October 2018. COOPERATION.--Station established and maintained by the U.S. Geological Survey. Funding for the operation of this station is provided by the Bucks County Commissioners and the U.S. Geological Survey.